The STA 8000 simultaneous thermal analyzer offers performance, reliability and productivity you can depend on. 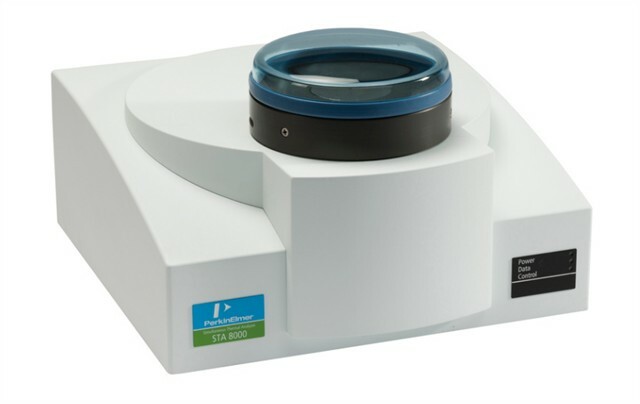 Designed with routine and research applications in mind, the STA 8000 simultaneous thermal analyzer applies advanced innovative sensor technology and efficient design to yield high accuracy and precise results. Whatever your analytical requirements the STA 8000, with built-in mass flow controller, both monitors and controls the selected purge flow rates. And for complete peace of mind, if your gas supply runs low, the Pyris® software will alert you on-screen. Capable of operating from 15 °C to 1600 °C, the STA8000 is designed to allow testing under a range of conditions. There are no threads in PerkinElmer STA 8000 Reviews at this time.